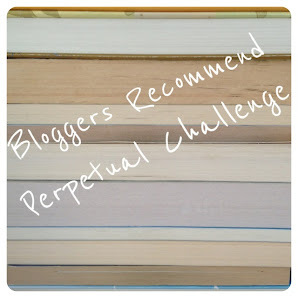 Blogger Recommend Challenge – September 2013 – my books. my life. Seems September has sneaked up on me. Did you all get your Bloggers Recommend email yesterday? Have you had a chance to browse the books and choose which you want to read? Fangirl is definitely on my list. I’m also eyeing The Explanation for Everything: A Novel , Burial Rites , This Song Will Save Your Life , and The Lowland (although I still need to read Lahiri’s LAST book). It must be fall if my TBR list is growing this quickly. Let me know in the comments which one (or five) you are most looking forward to diving into. Once you’ve had time to read and review your chosen book(s), simply come back here and link up your review (or let us know what you thought in the comments if you don’t have a blog). While challenge sign-ups are welcome anytime, today is your last day to sign up to be entered in the giveaway for Donna Tartt’s The Goldfinch . Enjoy your extra reading day this weekend (or your normal weekend, international friends). I think I’m starting the audio of FANGIRL today. Also planning on still reading BURIAL RITES and THE LOWLAND and I’m in the middle of THE MAID’S VERSION now. I am looking forward to a ridiculous number of these. HELP FOR THE HAUNTED, BURIAL RITES, RIVERS, CARTWHEEL, MARGOT, EDGE OF NORMAL, MOTHER MOTHER, NOT A DROP TO DRINK, and the Susan Hill release (though I have DOLLY already). COLDEST GIRL IN COLDTOWN was on the list too but I’ve just read it! and I finished My Mother’s Secret today…short and very moving. There are more I’d like to read…but I have a few more on my own list of new books..whew! Pingback: The Sunday Salon [9.8.13] | my books. my life.